Firefox has very basic tab features. In the old days I used Avant Browser which was a front end for Internet Explorer which introduced me to what tabs should do in a browser. But Avant Brower had other issues which finally got me to move to FireFox. But then the withdrawal started because of the lack of power that Firefox tabs offered. Then I discovered Tab Mix Plus. Odd name, but now I have tabs that are on steroids! This add-on for FireFox has a dizzying amount features and setup options. The most important feature I want a tab to do is open a new tab when I click a link that is not part of the same site. I don’t want to lose my place or have to use the back button to get back to site I started at. Next, when I select a site from my Bookmarks I want a new tab opened, don’t lose my current tab. So now hopefully you see the trend here, always open a new tab when navigating to other sites. It also works the same way in the search window and aliases/keywords. The next feature is tab sizes. I tend to have many tabs open and you quickly end up with a tab bar that won’t fit that many tabs on one screen. 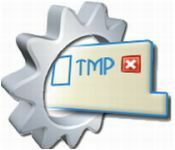 TMP has a feature to shrink the width of a tab based on the title. You can also control the maximum size of the tab so you can fit many more tabs on one window. I have my width set to 110.